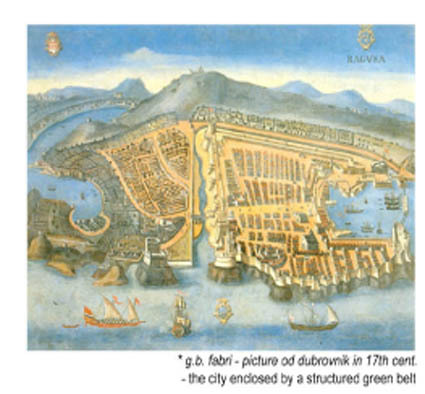 2011 :: dubrovnik of tomorrow ? 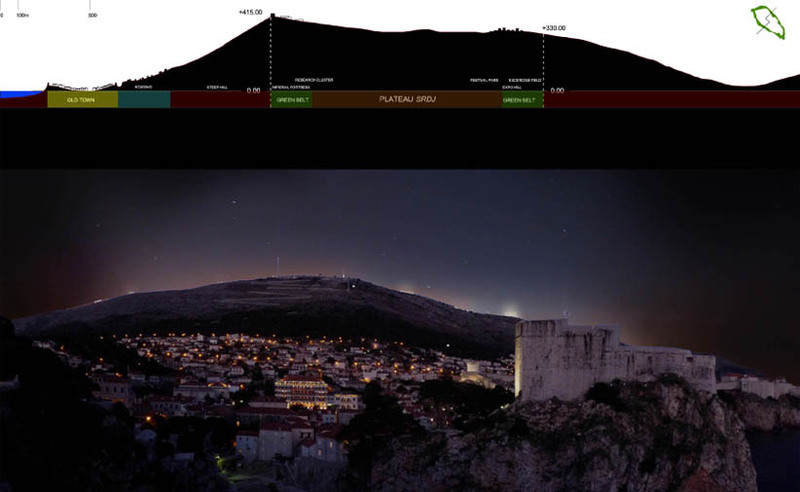 The city of Dubrovnik has reached its maximum land occupancy. The very limited, narrow territory between the sea and the mountains is fully inhabited. Recent construction booms, the pressure from the tourist industry coupled with the speculative real-estate developments have invaded large portions of un-built environment. Consequently, the last free remnants of urban “space in-between“ have been expended. The city that is globally renowned for its urbanistic, cultural and architectural legacy is becoming a chaotic accumulation of buildings and substandard infrastructure. Physical expansion and programmatic contraction resulted in a mono-cultural environment focused on tourist industry and foreign real estate markets. Venice syndrome is the most precarious scenario because of the undeveloped hinterland, geopolitical condition and the shortage of actual land territory. 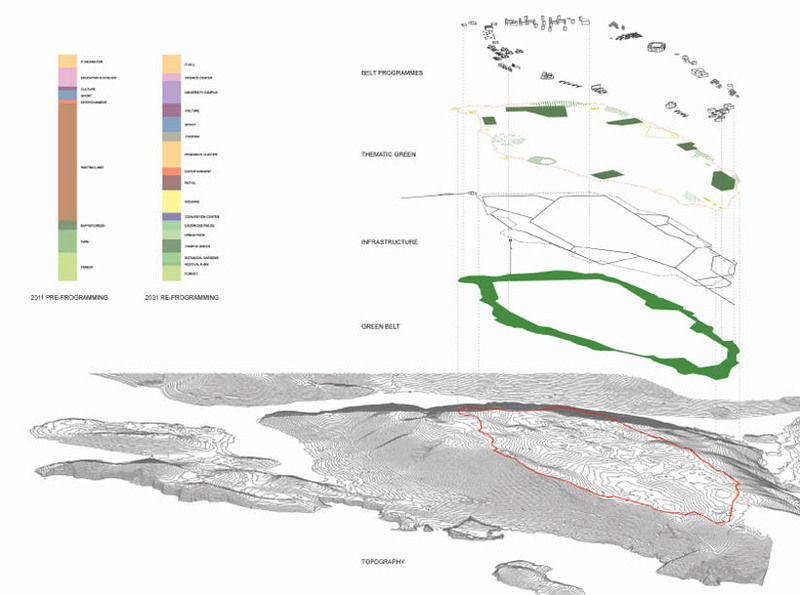 The area of intervention is the only free and un-urbanised territory in the immediate proximity to the city. Physically less than 1km from the old town, but psychologically miles away, Srdj plateau is the key urban borderto be addressed. As it is the last and only undeveloped city area, the main aim of this proposition is topreserve the perimeter of the mountain plateau as a green belt with metropolitan ambition. 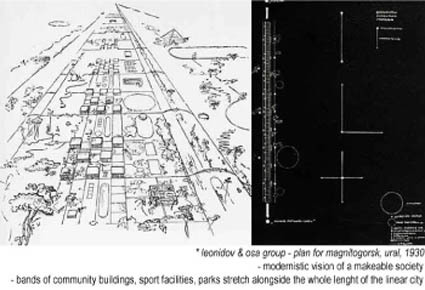 Preservation of the perimeter and its potential to accommodate whole set of public services is sufficient and potent enough to incorporate any type of future development of the plateau (from mono-functional and exclusive to metropolitan, open-ended and laissez-faire). Circular sequence of parks, thematic green and protected nature completes the plateau perimeterand forms a continuous open public space. Implanted social, public and business facilities are typologically regarded as pavilions in green. Basic transport network of roads connects entire belt facilities with the city bellow, allowing the unobstructed future development of the plateau inside. Existing cable car with the bottom station near the Old city and the capacity of 500p/h is the quickest and the most convenient way for pedestrian connection with the Srdj plateau. Therefore, a new funicular with the capacity of 3000 p/h is planned connecting the city harbour with the north point of the plateau belt. As a result, new green public belt will be easily accessible from the commercial district, main housing areas and from the sea. 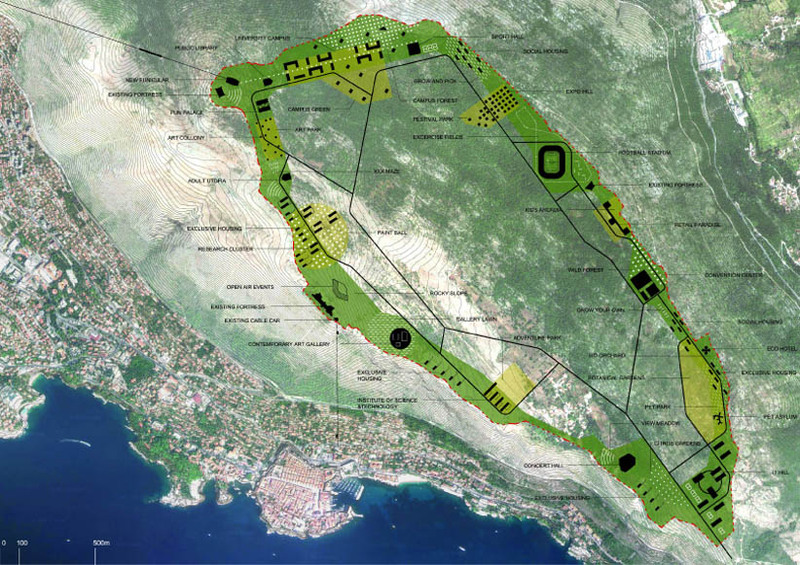 Grid of electric public transport and pedestrian and bicycle pathways through and along the belt will introduce and foster eco-friendly character of the new public realm and Dubrovnik of to-morrow. 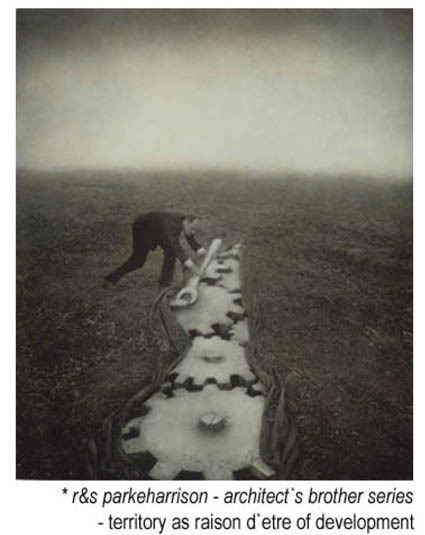 Once the belt is formed, the inside of the plateau can be surrendered to improvisation and uncertainty. It can become an exclusive golf settlement, autistic monotopia, diverse urban tissue, something completely unexpected or nothing at all. The last free and un-urbanised area cannot be left to inadvertent growth or fully handed over to private developers, since it is strategically important for future urban growth based on social inclusion, economically dynamic and environmentally conscious planning. 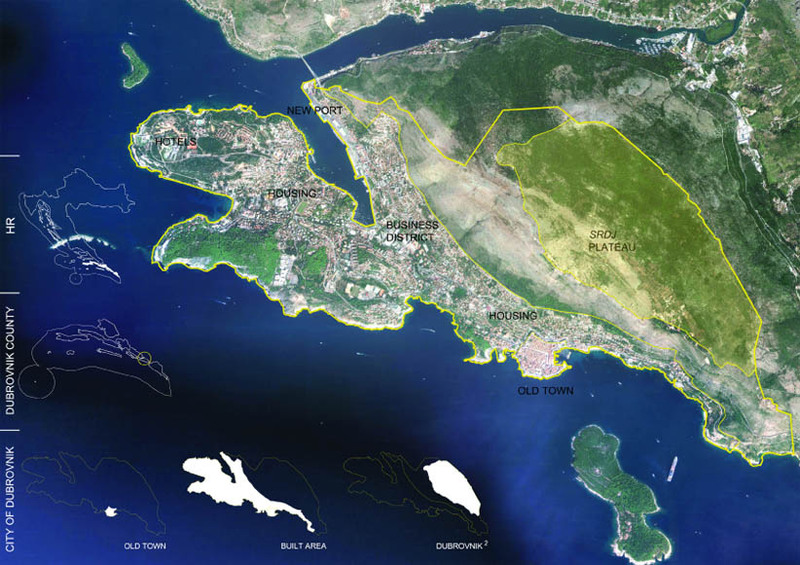 Srđ must become the new ground plane for sustainable urban development of Dubrovnik.